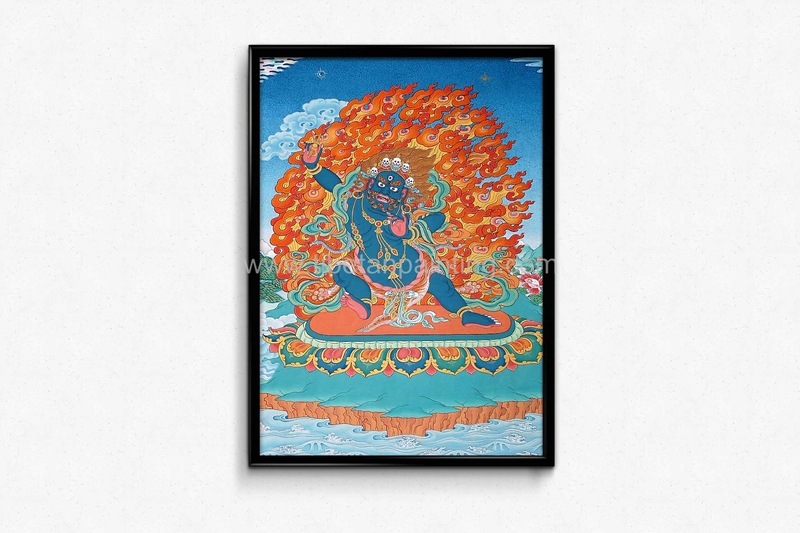 Vajrapani, the embodiment of the Buddha's infinite power is always represented in wrathful form. He is one of the earliest appearing bodhisattvas in Mahayana Buddhism. He is the protector and guide of Gautama Buddha and rose to symbolize the Buddha's power. 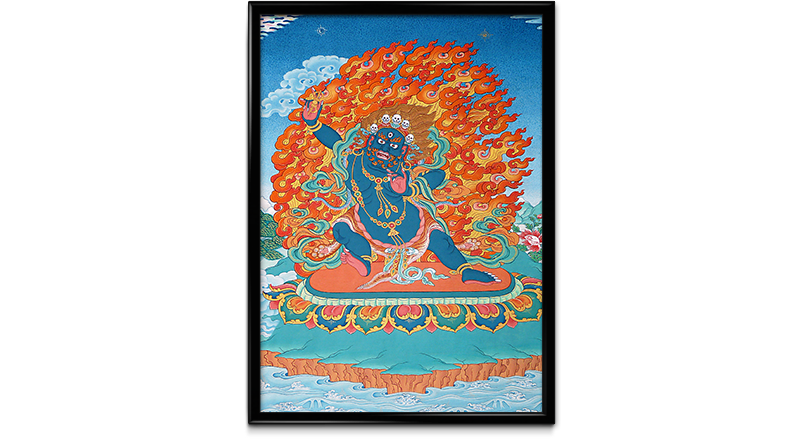 Due to his terrific image, Vajrapani may look like he belongs to the groups of Dharmapalas (Protectors of the Buddhist doctrine). But, in actual Vajrapani belongs to the category of Boddhisattvas.